This example demonstrates mplot3d’s offset text display. 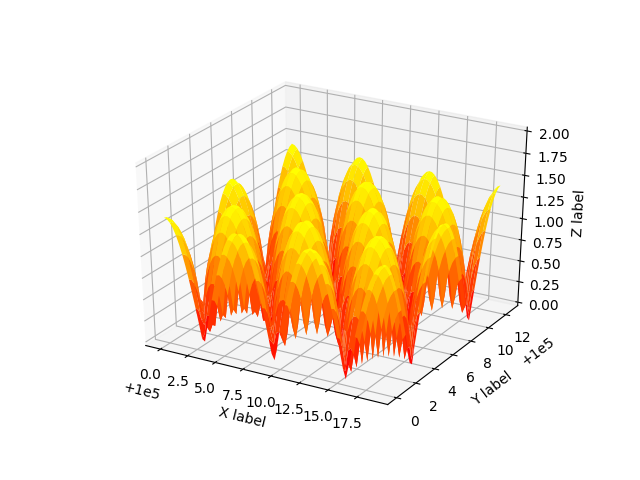 As one rotates the 3D figure, the offsets should remain oriented the same way as the axis label, and should also be located “away” from the center of the plot. This demo triggers the display of the offset text for the x and y axis by adding 1e5 to X and Y. Anything less would not automatically trigger it.